La Trainera is a traditional restaurant offering Seafood cuisine. The average price of a 3-course meal at the La Trainera restaurant is 40 euros. Note that although GoMadrid.com strives to maintain all information about La Trainera up to date, the prices mentioned are only an indication and may not reflect the exact value of your meal. Some of Madrid's best fresh fish and shellfish are served in this simple and homely restaurant. That's because the owner also has a stall in Mercamadrid, the capital's most important fresh produce market, and therefore gets direct access to best ingredients available. You'll be dazzled by the choice: clams, mussels, oysters and percebes (goose barnacles) are just a few of the shellfish varieties that are delicious steamed. The fillets of sole could not be more tender. There's no red meat on offer, only Iberian cured ham. The interior is decorated with a nautical theme. Even though it's a fairly simple place, the prices are high. 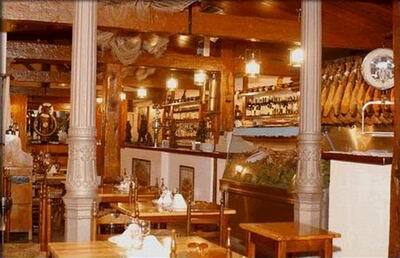 The address of the La Trainera restaurant is: Calle Lagasca, 60, 28001 Madrid. The nearest Metro station is Velázquez. Please see the La Trainera restaurant location map below.